Setting a paper color makes it easy to achieve certain natural media looks. Click here to set the paper color. 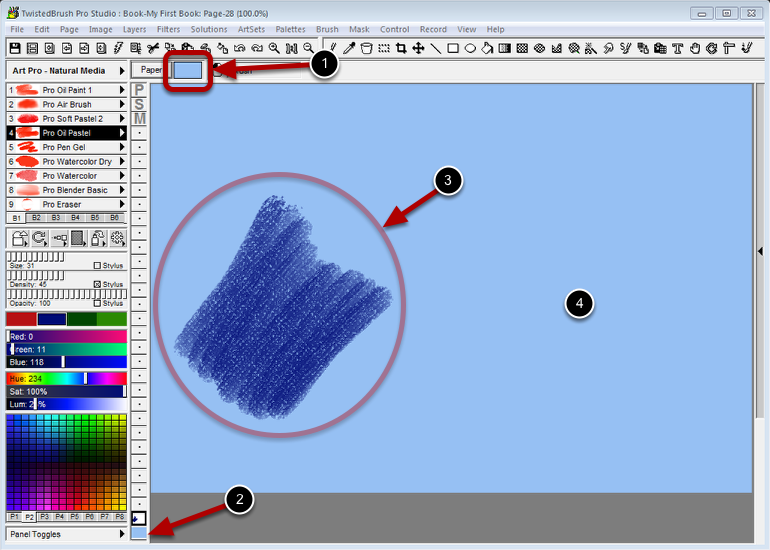 The paper color only effects the background layer since all other layers are transparent by default. Here a paper texture is set and strokes are applied. Notice the blue paper showing through. The paper color will automatically be applied to the background layer unless you have image data on the background at the time the color is set. In that case the paper color will only appear when you clear the layer or use the eraser.